Marriott Hotels have announced a change to the retention policy of their Marriott Rewards points. Until now as long as you kept your Rewards account open, your points did not expire. But that’s changing. Starting February 1, 2016 if you have had no qualifying activity in your Rewards account within the prior 24 months (i.e. since January 31, 2014) ALL accumulated points will be forfeited – not just the points that are over 24 months old. Ouch. That’s pretty harsh. On the other hand, having one qualifying activity in your account every 24 months is not that difficult. I assume that transferring Ultimate Rewards points to Marriott does not count under item #2 above, which is a shame as that’s a very easy way to keep some accounts active. The official notification page also states that if you have Lifetime Status with Marriott Rewards you are not affected by this change – but that Marriott reserves the right to change Lifetime membership benefits at any time. 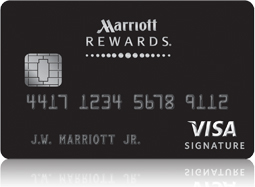 One easy way to keep your account open is to get the Marriott Rewards Credit Card. For an annual fee of $85 (waived the first year) you get 2x points for airline, car rental and restaurant purchases and 5x points at Marriott properties. If you apply using this link you’ll get 70,000 points and a free night once you spend $2000 in the first three months after applying. Plus, each year you renew the card you get one free night at a category 1-5 hotel, which more than covers the $85 fee. Note that the free night certificate must be used within exactly 6 months after it is awarded, so use care as to when you apply. For example, if you typically travel during the summer and that’s when you’d want to use the free night, it makes sense to apply for the card early in the year so the certificate will be good throughout the summer. Conclusion: expiring points is not a good thing but Marriott is offering a generous time frame and is making it fairly easy to keep your account open.